Apple Keynote is a popular presentation design tool. It’s a bit more streamlined and easier to use than PowerPoint, and it packs in all the tools you’d need to make a great presentation with. But, even with the power of Apple’s flagship presentation tool at your fingertips, it can still be time consuming to begin the presentation design process from scratch. 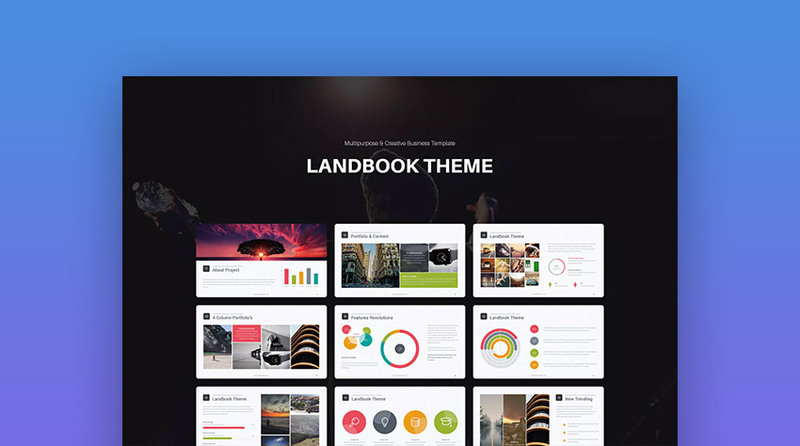 Rockefeller – One of the best Keynote theme designs that’s trending in 2019. If you’re staring at a blank page, and struggling to make a beautiful, on-trend presentation design, then you may need a hand. It’s a big time saver to start with a premium Keynote theme. They’re packed with great presentation design ideas, quick-to-customize, and made by professional graphic artists that have an eye for design. 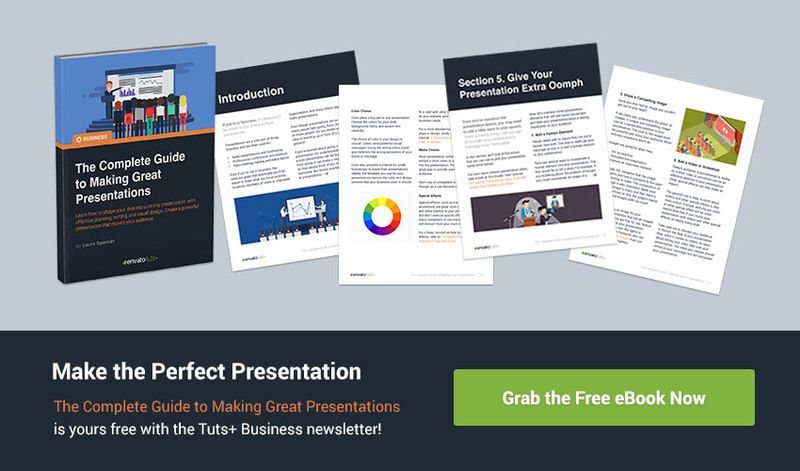 Before you read on, be sure to grab our FREE eBook: The Complete Guide to Making Great Presentations. It’ll help you master the presentation process, from: initial idea, through to writing, design, and delivering with impact. Whether you want a slide to showcase your team, an infographic that visualizes your story, or a modern slide with just the right photo and text setup to showcase your idea—a modern Mac Keynote template has loads of professional slide designs to use. 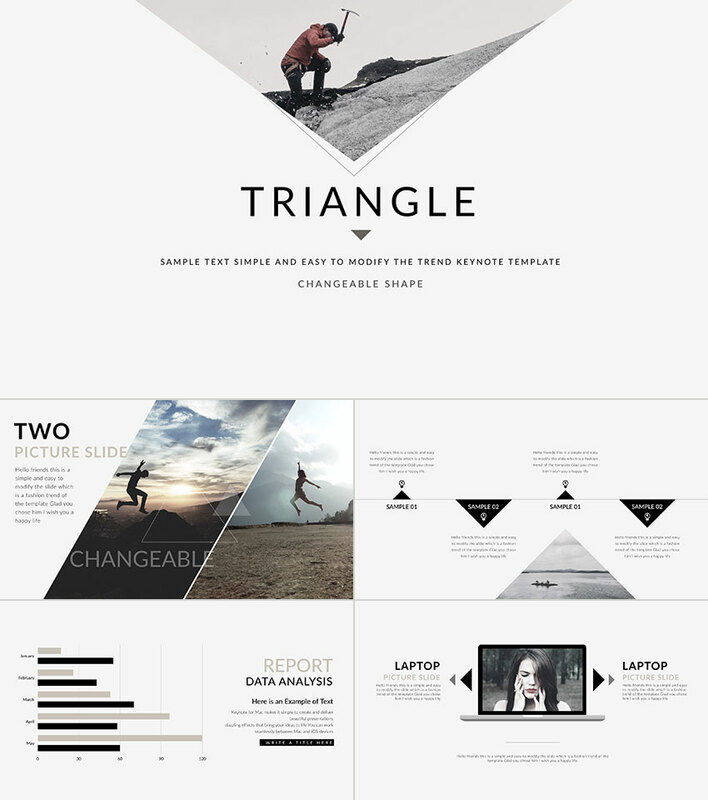 Triangle – Top Keynote presentation template with modern slide designs for 2019. So that slide design you’re needing, you can quickly add your information to a ready-to-use, unique template to get it visualized. All you need do is add your info and customize the pre-built, professional charts, photo placeholders, modern fonts, and slide color schemes. Rather than designing your presentation from scratch, you can copy and paste your ideas into a ready-made presentation design. You’ll have a beautiful new Keynote presentation made quickly. In this article, we feature a curated selection of unique Mac Keynote theme designs, from the Envato Elements marketplace. The advantage of using Envato Elements is that it gives you an “all-you-can-download” pass to grab all of the assets you could possibly need. These new Apple Keynote presentation templates are some of the most popular designs of 2019. They feature an optimal mix of modern and easy-to-customize presentations options. 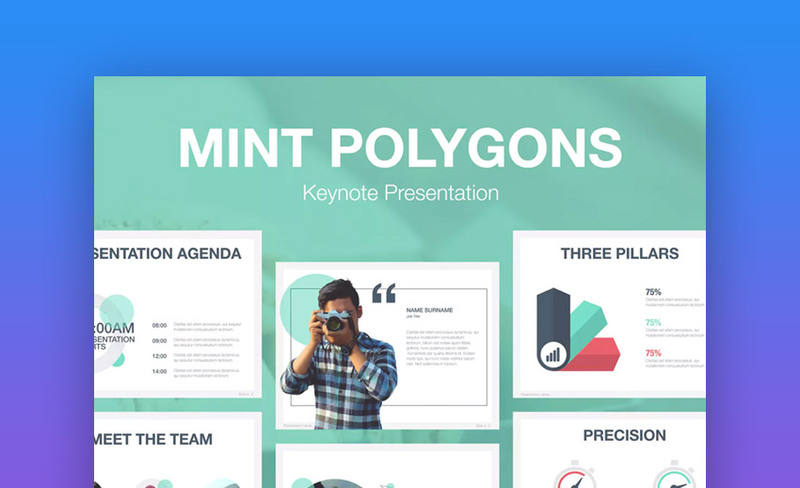 Light and airy, the Mint Polygons presentation has the graphic element placeholders that you can use to tell stories with data. Modern audiences like statistics and data, and it’s easier to showcase that with charts and infographics. Update those easily with the placeholders built into Mint. 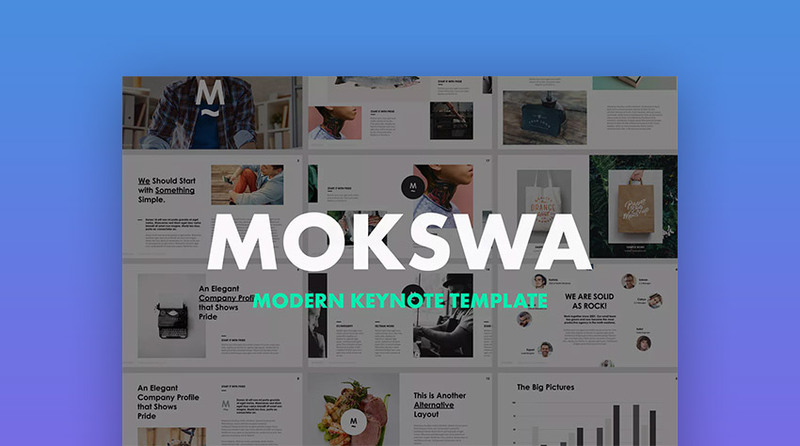 If you’re looking for a modern Keynote presentation template, that’s easy-to-customize, then Mokswa has you covered. It’s designed for making persuasive visual presentations that communicate your messages clearly. Use this set of creative slide designs to quickly make a visually engaging presentation that’s both on-message and stylistically on-trend for 2019. This is a modern Keynote presentation template with a beautiful and functional set of slide designs. There are over 90 unique slides, designed at high resolution, and with plenty of easy to customize elements. You can quickly edit the pre-built vector shapes, upload images to placeholders, copy and paste your text in, and get your presentation made fast! Whatever your presentation is about, one thing is for sure: You need a beautiful presentation designed with clarity to succeed. You may have interesting ideas, but unless you can transform them into the right visuals, you’ll lose your audience fast. Theon has a clean design with a clear focus on making your message stand out. Keep your audience engaged with this modern set of slide designs. This new Keynote theme is fully customizable, so you can quickly and easily create your next presentation in 2019. This colorful new Mac Keynote theme is on-trend for 2019. 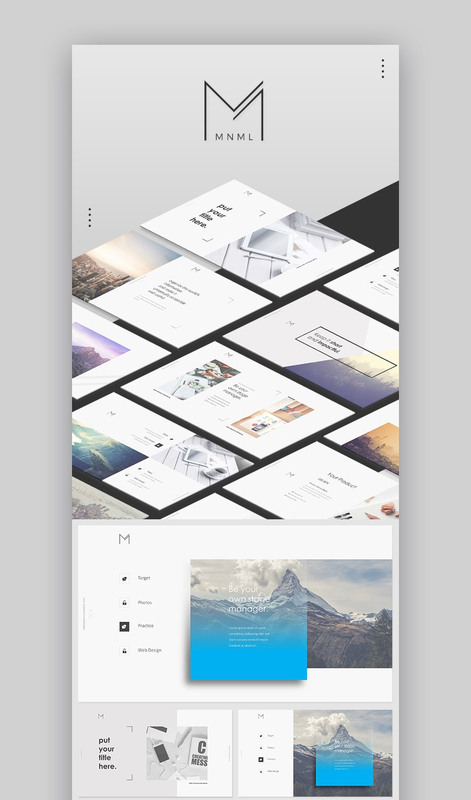 It’s a popular download presentation set on Envato Elements. It’s designed with 93 custom slides that balance bold illustrations, colorful graphics, and a modern blend of photo and text layouts. With over 100 custom slide designs, the Rockefeller Keynote theme is overflowing with creative options. It’s great for a number of industry presentations, agency use, or to grip an audience creatively. This Premium download offers professional options that free Apple Keynote themes for Mac are often missing. 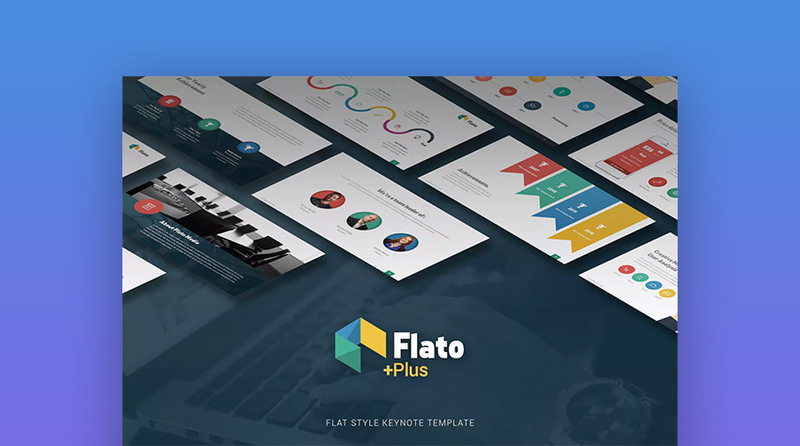 Flato is a custom Keynote theme, designed with modern shape, character and paragraph styles that are made to work with quickly. It has the professional features that free Keynote themes for Mac are often missing. With this Premium design set you can create a powerful, convincing presentation! 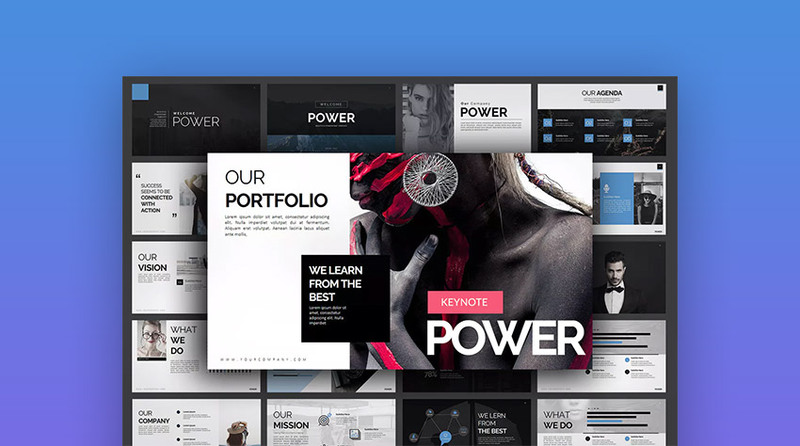 If you need a strong set of modern slide designs, then the Power Keynote Mac template is a bold choice to download. It features eye-catching layouts made for 2019. It mixes striking images and compelling type. It also includes quick-to-edit components that pack a creative punch. Use this set of Premium presentation designs to make your message stand out confidently! Present your best ideas with vivid color and bold graphics. 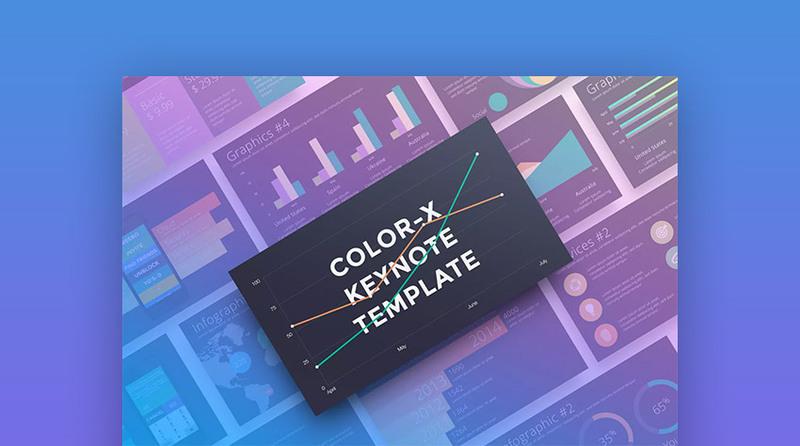 The Color-X Keynote template download has over 40 slides of content. It’s made to customize quickly in 2019. You can readily change colors, modify shapes, insert your text, adjust charts, and more. 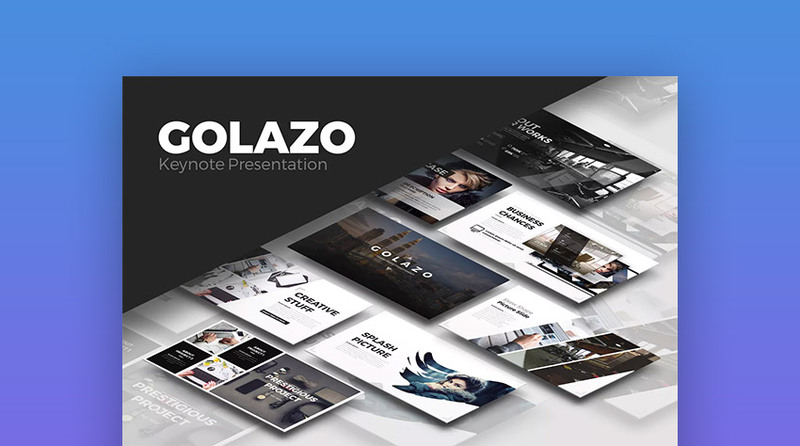 The Golazo Keynote theme has a crisp set of 90 presentation slides that feature: clean creative layouts, bold text with shaped imagery, and plenty of white space to let your message take shape. Yuno is bold in its design, but flexible enough to be used for practically any type of presentation. 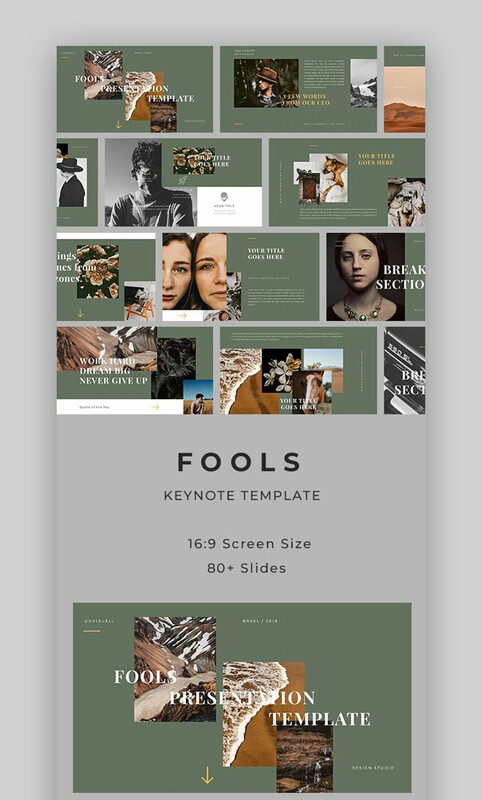 It’s a creative Keynote presentation template that focuses on bold imagery, which is easy to update thanks to its drag and drop placeholder setup. Use this set of modern Mac theme designs to make a powerful presentation in 2019. The right slides designs help you focus your audience on your message, deliver your concepts with visual impact, and motivate them to act on your ideas. When you’re buying Apple Keynote templates one at a time, the best way to get the most value is to choose an option with many slide templates. 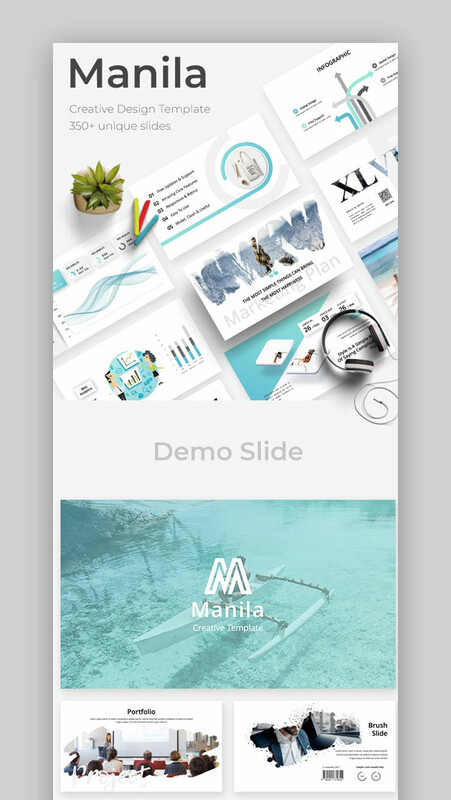 Manila fits the bill perfectly thanks to over 350 unique slide designs. That type of variety ensures that you can use it in many presentations without re-using the same designs. Best of all, this package also includes built-in icons, infographic templates, and more to ensure that your Keynote presentation captures your story. Some of my favorite Keynote presentation templates feature bold typography, and that’s why Fools has a prominent spot in this round-up. You can use these templates for practically any purpose, but the strong text elements make this an ideal fit for a fashion or modern design presentation. Less is more! These minimalist slide designs balanced with bold text will help your audience hone directly in on your key points. 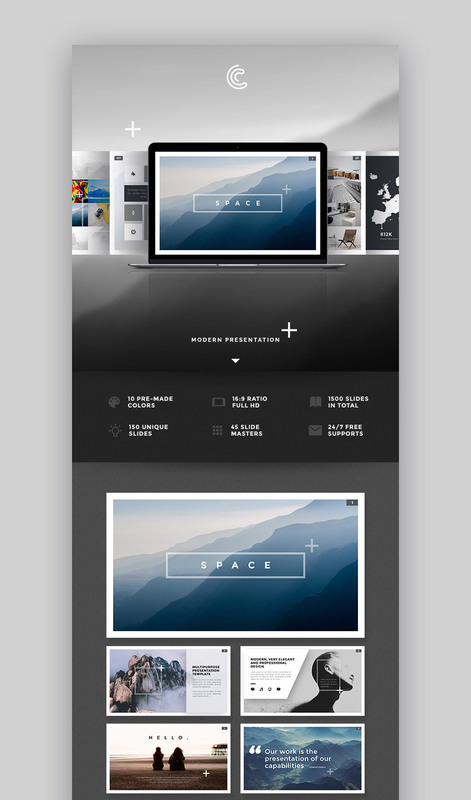 If you’re looking for a creative new Keynote theme with a minimal design, then Space is a noteworthy option. 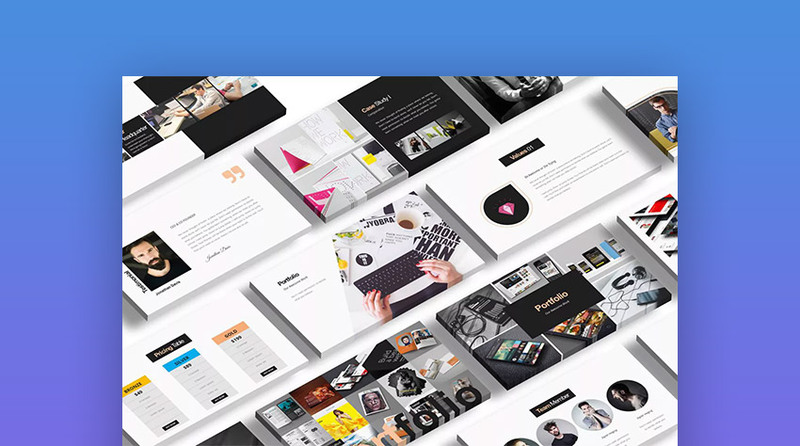 It has 150 unique slides designs that feature a great balance of photo setups, bold text, and dynamic shapes. Use it to quickly design a fresh, focused presentation in 2019. 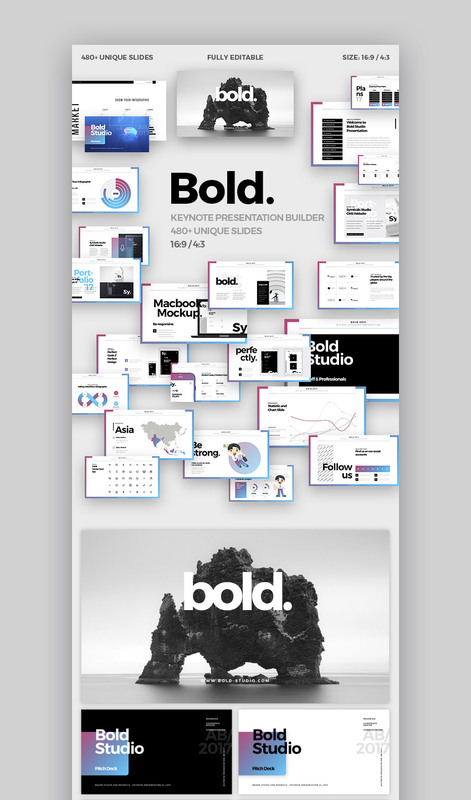 The Bold Keynote template has everything you’d need in a premium theme. 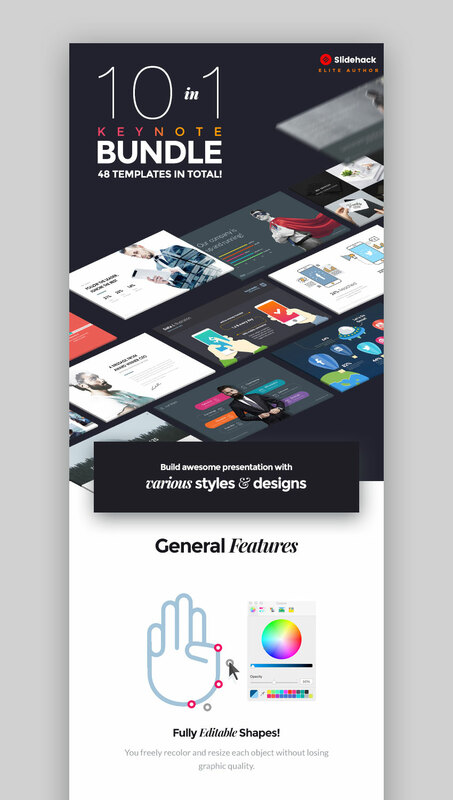 It’s supercharged with tons of creative elements: 480 unique layouts, infographics, editable charts, vector icons, and more. Use it to create a powerful presentation deck with a striking design in just a few minutes—instead of hours (or even days). This is a trending in 2019 Mac Keynote theme with a minimal design aesthetic. If you want to make a presentation that has an elegant, soft style, then the Light Keynote template has what you need. It comes with a number of slide layout options, with plenty of easy-to-customize features. 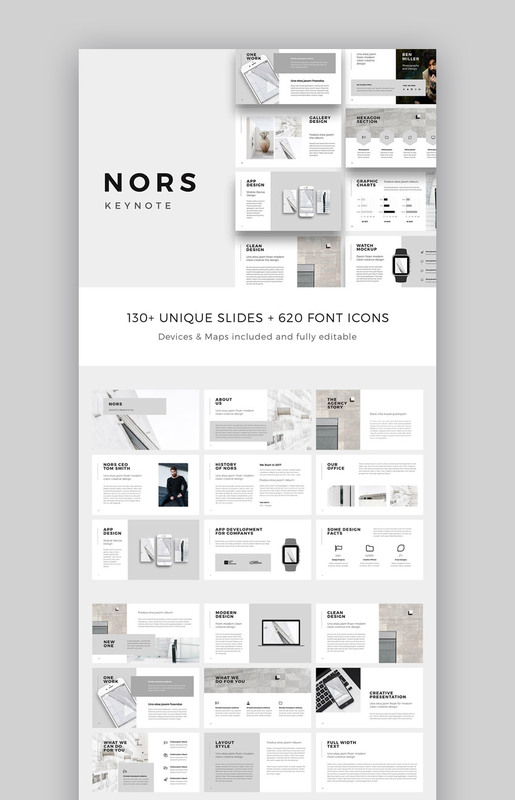 Nors is a minimal and clean 2019 Keynote presentation template download. It has over 130 custom layouts, which gives you many creative possibilities to make a great presentation. It’s packed with features that free Apple Keynote themes for Mac may be lacking. It’s setup professionally, with drag-and-drop image changes, easily editable colors, styles, shapes, and more. This Premium download offers professional options that free Keynote themes for Mac are all too often missing. Take advantage of its 406 unique slide designs, beautiful modern layouts, editable charts, resizable graphics, and easy to customize setup. To make an effective presentation that impresses an audience in 2019 can be time consuming. That is, unless you start with the right visual resource. 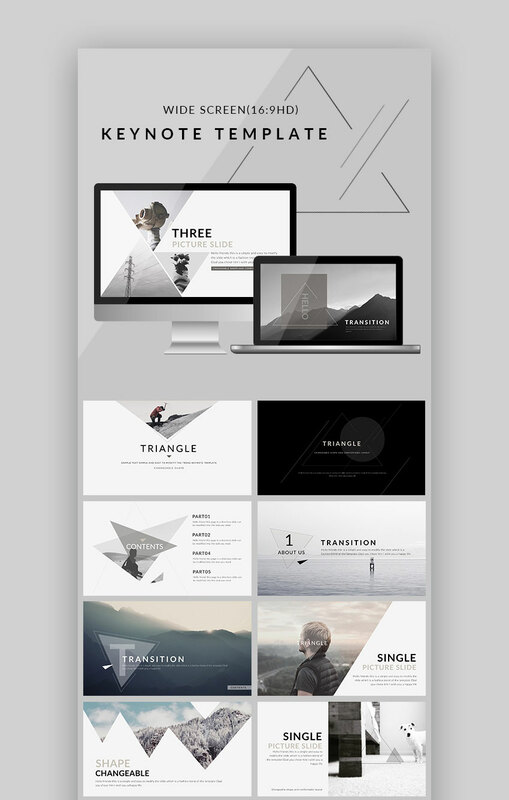 Triangle is a modern Mac Keynote theme with a crisp set of clean, beautiful slide designs. It also comes with a ton of easy-to-edit, professional features that are 100% customizable. 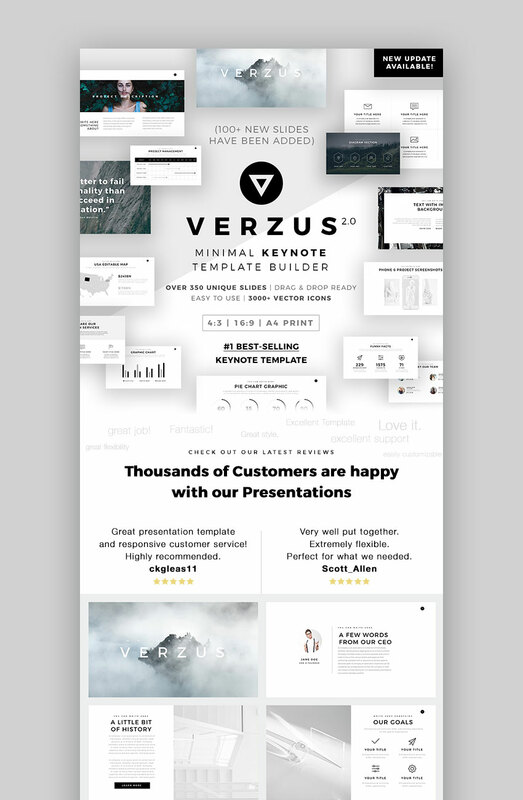 With thousands of happy customers, Verzus is one of the best custom Keynote themes available for download on GraphicRiver. Building a great presentation has never been so easy with all the creative options in this template. It features plenty of graphic options, from infographic, to image/text layouts, and easy to edit slides. Turn your ideas into an awesome presentation—swiftly! Want to blow your audience away at your next presentation? You’ve got the ideas, and the right information, so make sure you deliver it in the most graphically-engaging manner! 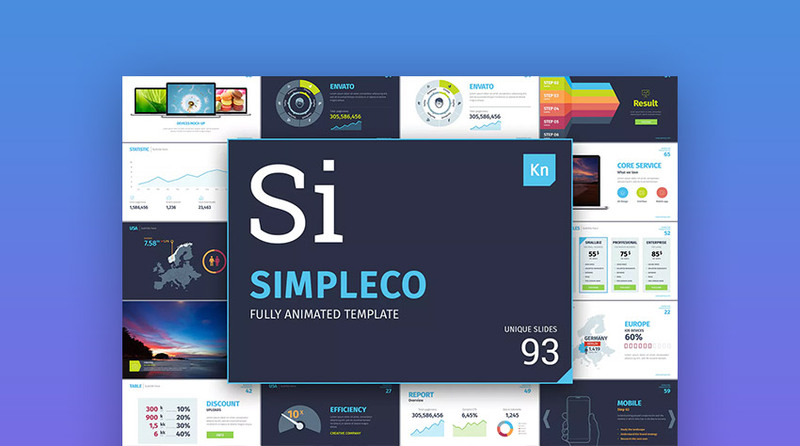 This bundle features 10 professional Keynote themes. This Premium 2019 download set offers professional options that free Keynote themes for Mac are often lacking. Each of these Mac Keynote themes are highly customizable and easy to work with. You’re also getting over 3600 total slides in this bundle. That includes animated transitions, infographics, free fonts, and a huge array of slide types. 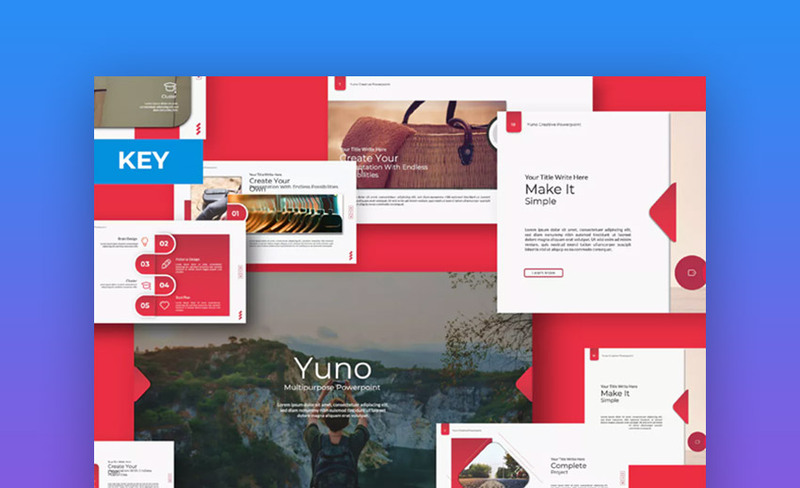 Both Envato Elements and GraphicRiver have hundreds of popular Mac Keynotes templates with high quality designs. 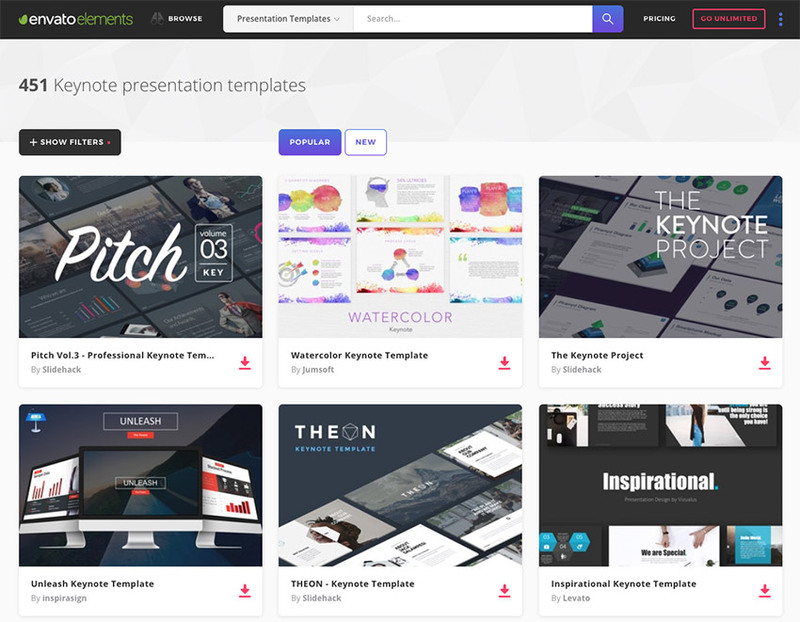 They’re industry leading marketplaces for presentation themes in 2019. But, should you use Envato Elements or GraphicRiver? And, what are the key benefits of each? 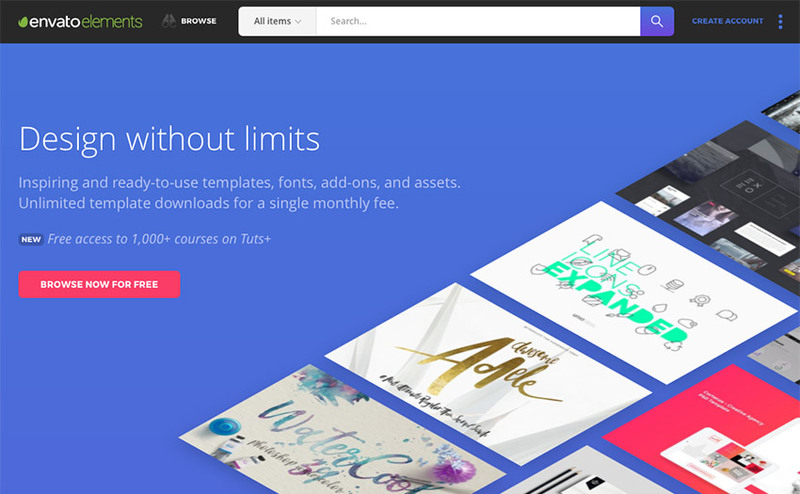 Envato Elements gives you unlimited downloads of creative assets, fonts, photos, graphics, web templates, and presentation theme designs for a single monthly fee. With a subscription to Envato Elements: download any of these professional assets, and as many Keynote presentation themes as you need, and use them at any time. Unlimited downloads is a powerful offer, and it’s packed with a ton of creative resources, that you can quickly tap into. 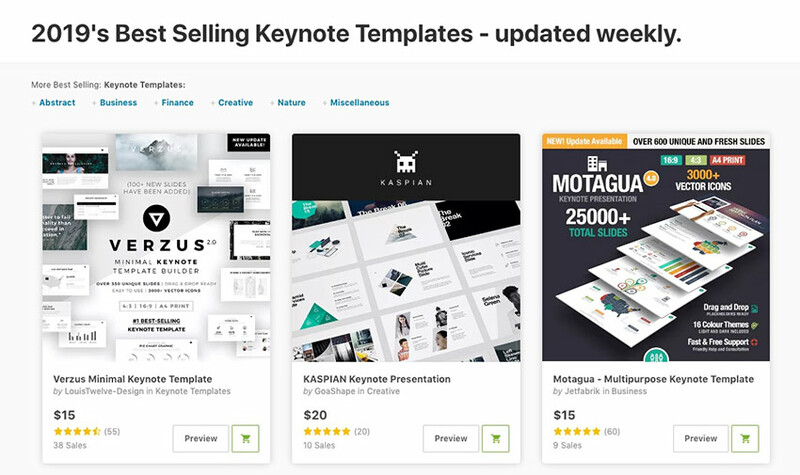 Best Keynote presentation design templates on Envato Elements (2019). GraphicRiver is the leading digital marketplace for purchasing single use graphics and visual assets. It’s part of the Envato Market suite of online marketplaces that offers numerous creative digital assets. 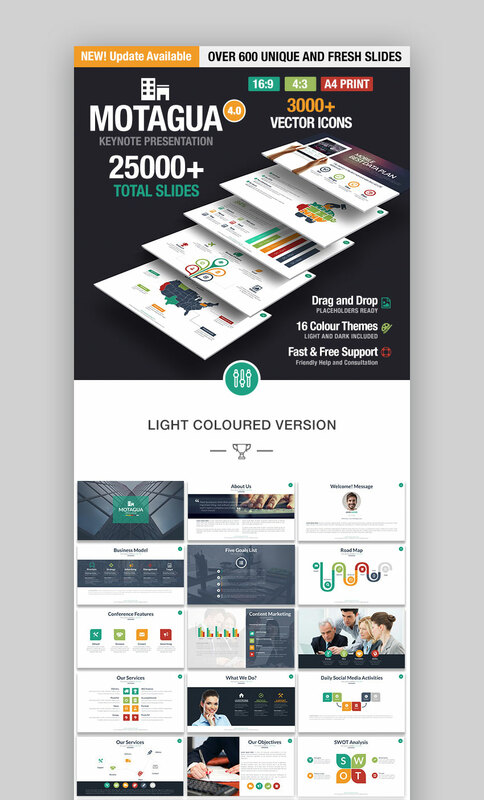 Best Keynote presentation design templates on GraphicRiver (2019). What’s right for you: Envato Elements or GraphicRiver? If you’re a serial entrepreneur launching new brands regularly, a digital marketer with multiple projects to promote, or a designer with numerous clients to serve, then Envato Elements offers a great bang for your buck. Sign up for Envato Elements now. 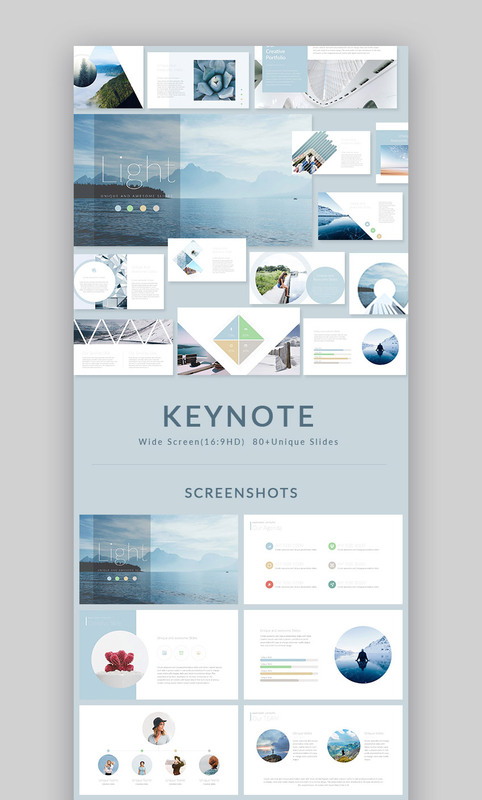 Or, if you just need just one great Keynote presentation template or another file type to download right now, then head over to GraphicRiver (or another Envato Market site) to find just what you need. Don’t miss out on this great new presentation eBook. Download: The Complete Guide to Making Great Presentations. It’s available for FREE with a subscription to the Tuts+ Business Newsletter. It’ll walk you through the complete presentation process. Learn how to write your presentation, design it like a pro, and prepare it to present powerfully. The best Mac Keynote presentation templates have plenty of ready-made, easy-to-customize slide designs. 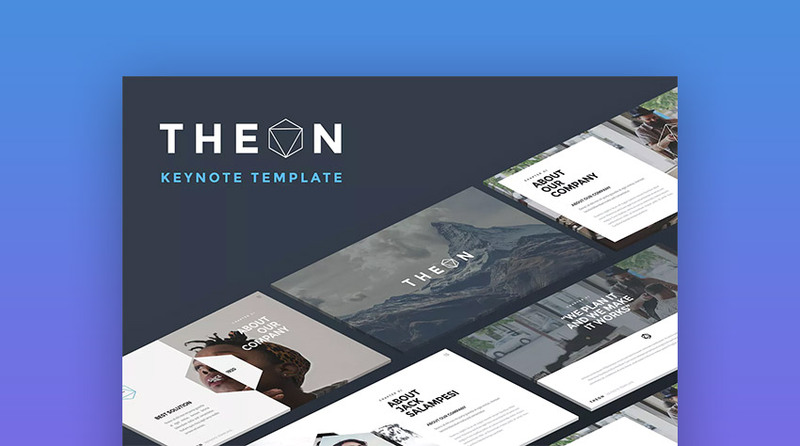 If you need more options, you’ll find a ton of great Keynote presentation themes on Envato Elements or GraphicRiver. Browse through them to find the perfect Apple Keynote theme design to download now. Use it to make a beautiful presentation in 2019: add your ideas to the unique slide layouts, and quickly customize your message to present with visual impact to your audience. Editorial Note: Our staff updates this post regularly—adding new, exciting Mac Keynote templates.